Another satellite just joined Earth's orbit. Early Tuesday morning, SpaceX’s Falcon 9 successfully completed another launch. The rocket took off from the Complex 40 launch pad at Cape Canaveral Air Force Station carrying a satellite for Spanish telecommunications company Hispasat. The rocket took off promptly at 12:33 AM, and deployed its payload just shy of 33 minutes later. Several times throughout the livestream, loud cheers could be heard — the SpaceX team applauded its achievement at each phase of the successful deployment and separation. Since everything appeared to go according to plan, the satellite should now be in its highly elliptical geostationary transfer orbit (GTO) around Earth. If the rocket is reusable, it’s a moot point now — SpaceX made no attempt to land the rocket, due to forecasted choppy weather in the Atlantic, according to a press release. The mission was originally scheduled to take off on February 25. But SpaceX needed to do more tests to make sure the rocket’s payload fairing, the shield that protects the payload shortly after launch, was properly pressurized, according to SpaceFlightNow. So the launch was pushed to today. Weighing in at 6,092 kilograms (13,400 pounds), the satellite, dubbed the Hispasat 30W-6, marks Falcon 9’s heaviest payload ever, The Verge reports. Now that it’s presumably in orbit, the satellite will provide commercial video, data, and broadband service to Hispasat customers as the company expands its coverage to Europe, Africa, and the Americas. 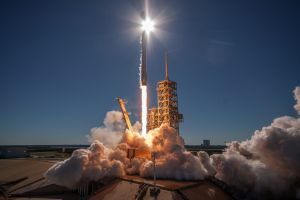 This launch marks SpaceX’s fifth completed mission this year, four of which involved the Falcon 9 (the one that did not was the test of the Falcon Heavy, which launched a Tesla Roadster into space), and the Falcon 9’s 50th launch to date. 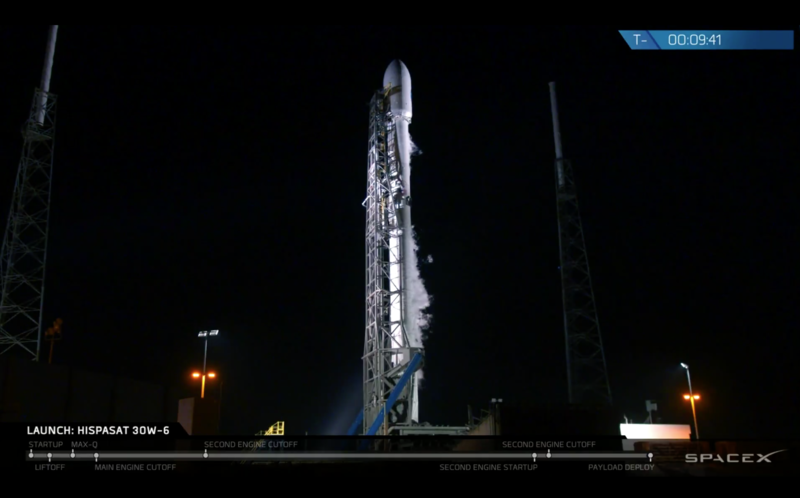 Tonight’s SpaceX Launch is Breaking Records. Here’s What You Need to Know.